If there’s no video, it never happened! 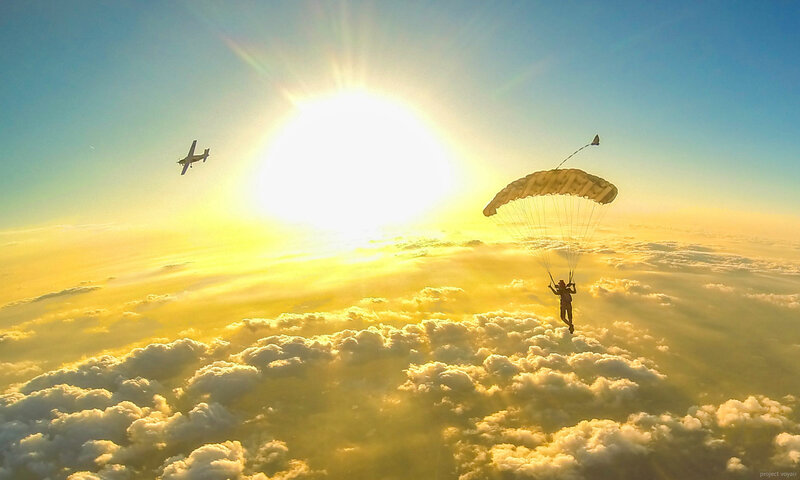 Don’t miss the opportunity to capture your tandem skydiving adventure forever in this professionally edited documentary of your jump, plus high-resolution still photos! 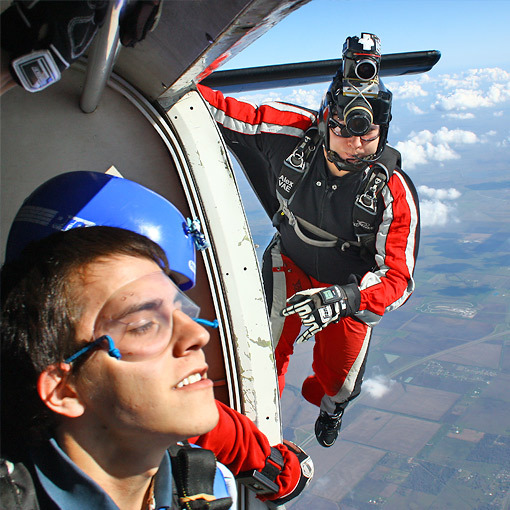 Our experienced videographers will document your skydive so you can relive your experience of a lifetime (and prove that you actually did it!). 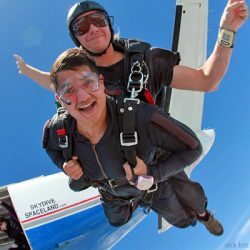 This 10-15 minute, action-packed DVD includes shots of you gearing up for your skydive, interviews before and after your skydive, and of course video of your jump! As your cameraman hangs outside the aircraft, he/she will capture your expression as you make the initial leap from the plane, then fly just a few feet away, capturing your exciting 120-mph freefall skydiving experience on digital video. This video is professionally edited with titles, special effects and the music of your choice. 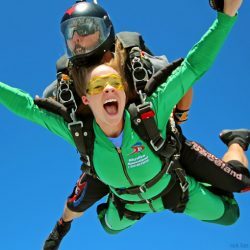 Shortly after your jump, you’ll walk away with your skydiving DVD and free high-resolution digital photos of you during this experience of a lifetime for only $139 plus tax.